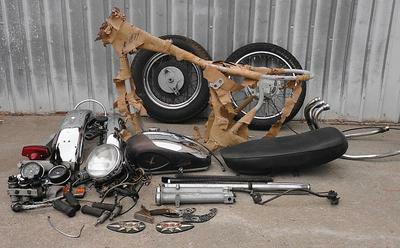 The 1971 BSA Project Motorcycle for sale comes with an NOS frame in the original Dove Grey paint color. The NOS frame should probably be redone to get the look of a first class restoration. 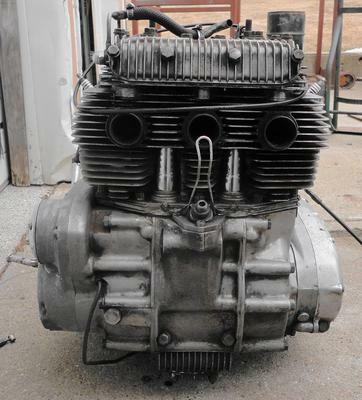 The 1971 model BSA A75 Rocket 3 Project's 750 engine was running when the bike was taken apart; in fact it was being ridden. 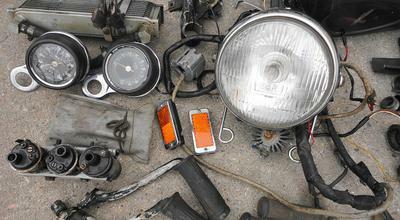 The mileage on the old bike is showing 14,251. 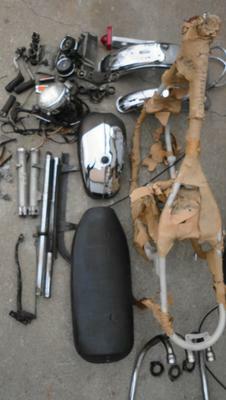 BSA project motorcycles and then compare them to mine with all the great parts. I will consider selling the BSA Project Motorcycle for $4750 including shipping in the USA and $5200 shipped international. Kindly email me if you think you want to buy or have questions regarding the parts included with the old motorcycle for sale using the form below provided by GoGoCycles Used Motorcycles for Sale.